The Petite Chifferobe features two shelves within its cabinet and three shelves exposed on the right-hand side. Chifferobe Drawers, item #366D can be ordered that are interchangeable between the openings (see photos). 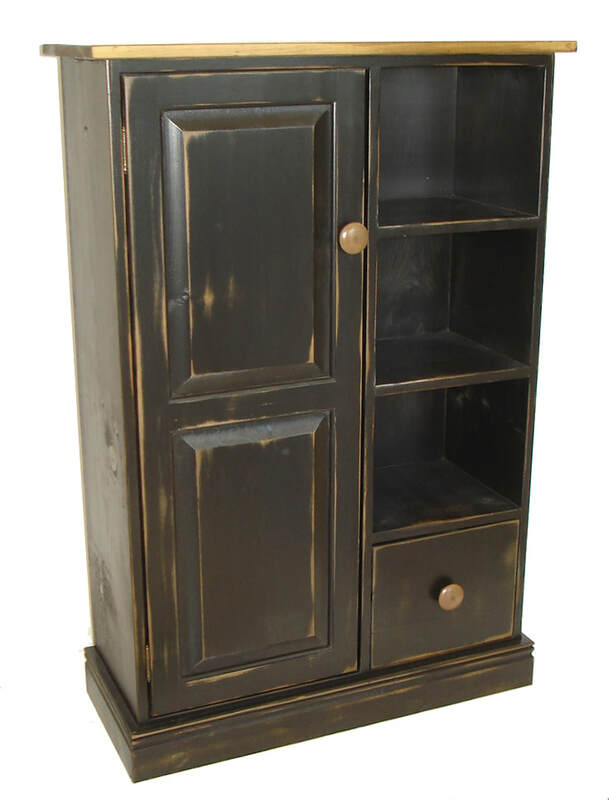 "Chifferobe" is a real furniture term (we didn't make it up, promise!) that is actually a portmanteau of two words: Chiffonier, a type of sideboard, and Wardrobe, an enclosed cabinet for clothes, etc. We've used the term pretty loosely here, and in Springwater fashion the scale of the piece is not huge so we added the prefix "Petite" to qualify it but it is nevertheless a very functional piece--especially when drawers are added!